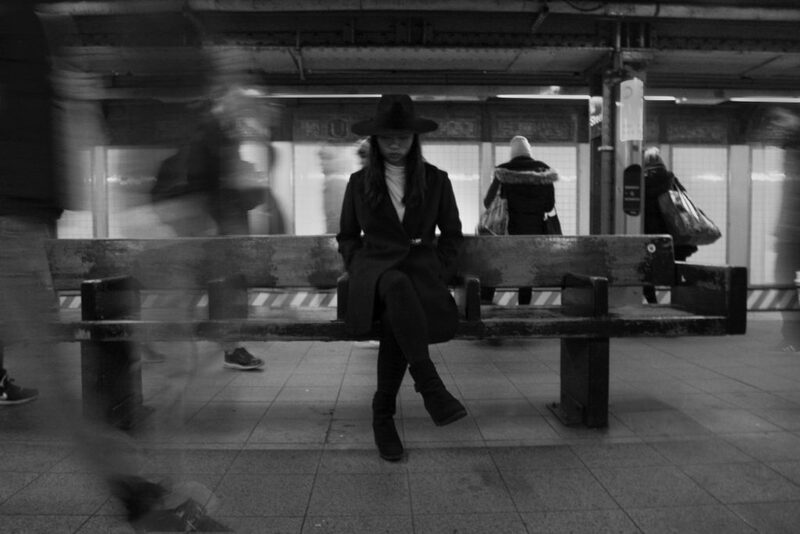 We were assigned a location and was given the assignment to shoot a garment. 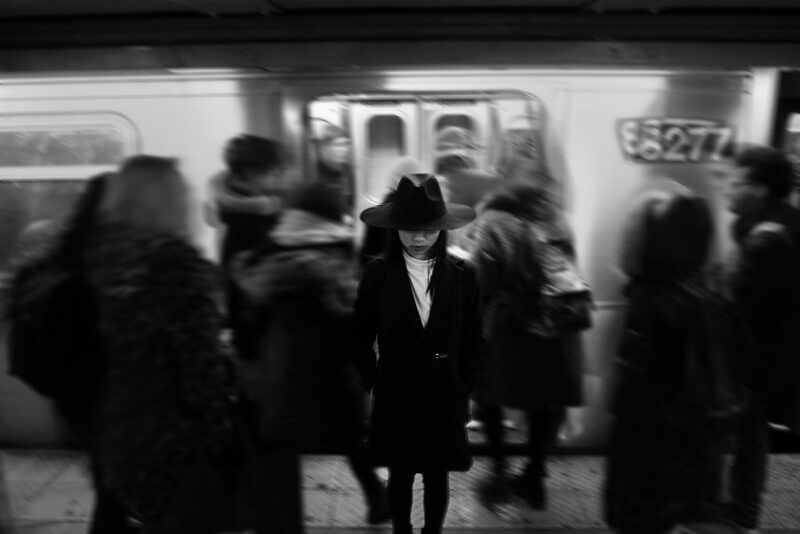 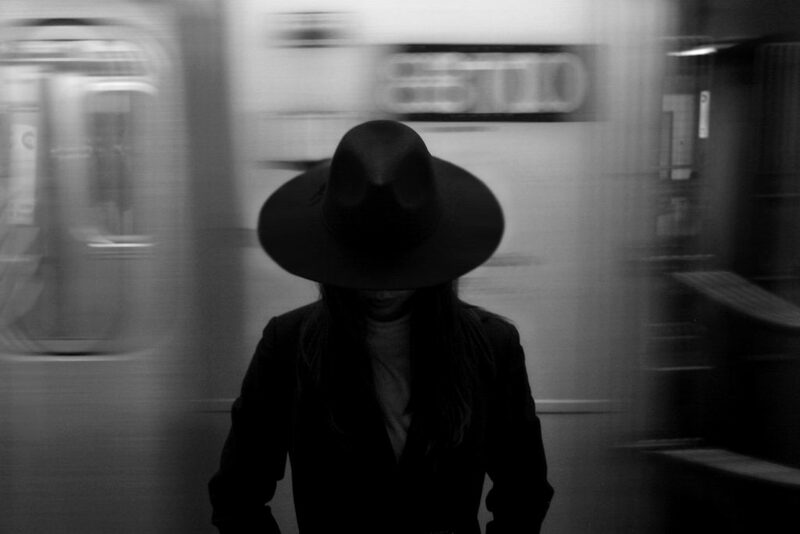 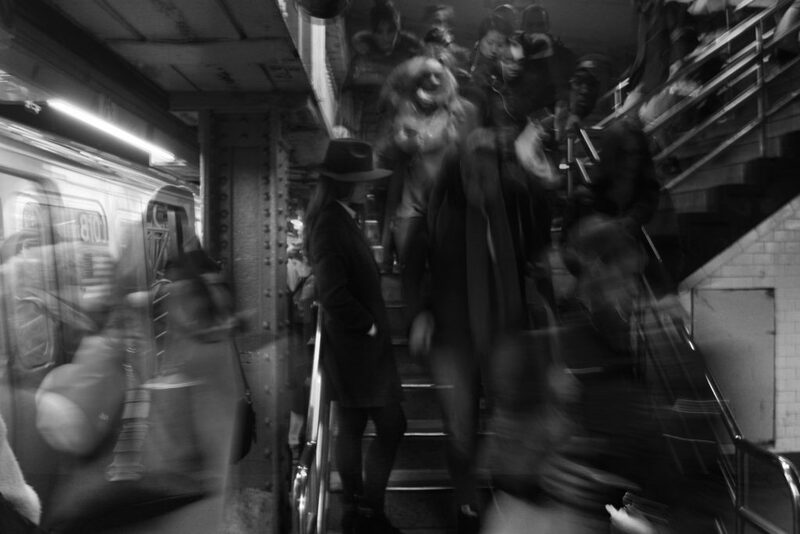 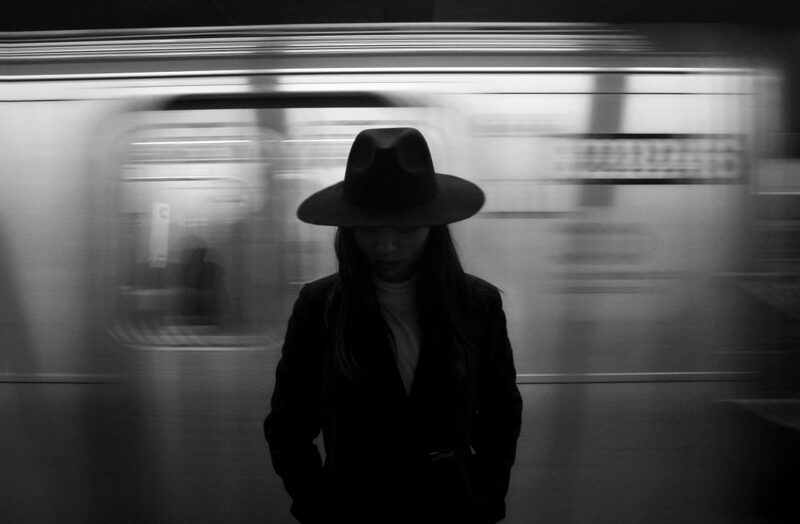 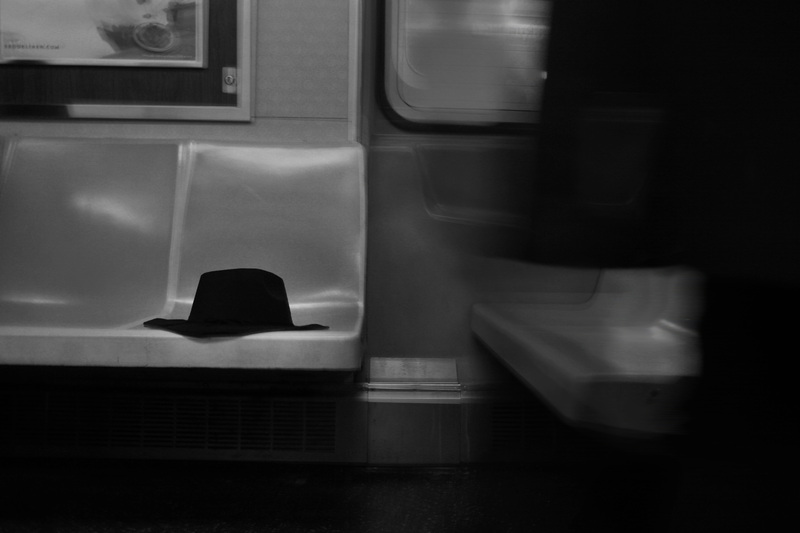 My location was the subway, and I decided to focus on a black hat. 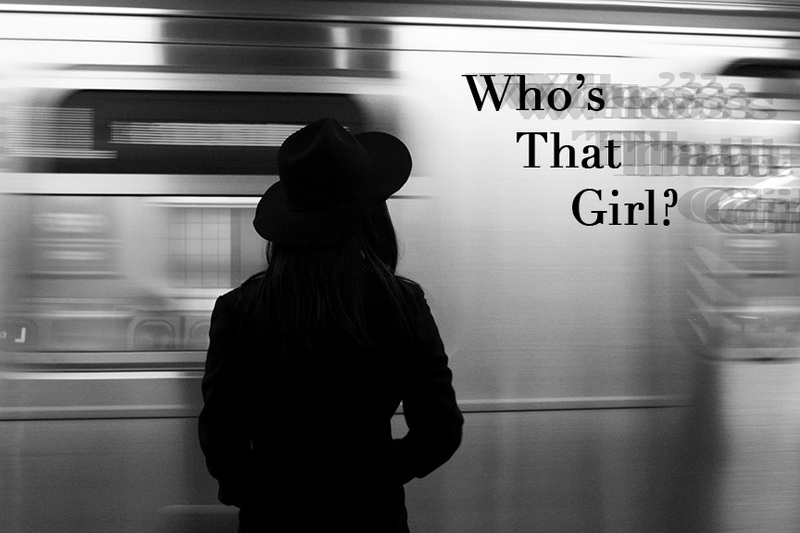 My storyline revolved around a girl, whose identity is unknown, and all the focus revolving the hat she is wearing. My goal was to translate movement into photographs, not through the model, but her surroundings. 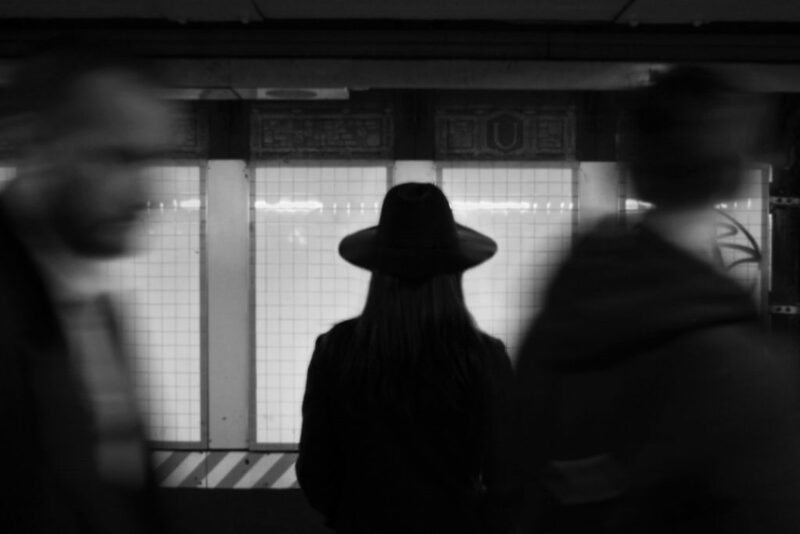 The movement around her is a very accurate depiction of NYC and its subway, constantly in motion.